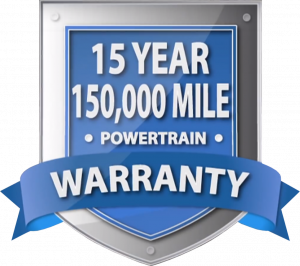 What is Included in our 15 Year 15,000 Warranty? F.R.A.N.K. isn’t a who, but a what. It’s an acronym that stands for Friendly, Reliable, Accessible, Never Overbearing, and Knowledgeable. At Sun State ford we are ALL F.R.A.N.K. In a poll conducted by industry experts, customers said that they disliked the negotiation part of the car buying experience more than anything else. That is where our Straight Forward Pricing was born. Straight Forward pricing is our way of saving you all the time, hassle, headache, and confusion typically associated with the car buying experience. We look at the average market value of a particular vehicle for our area and we discount it below that figure, and we breakdown the rebates and incentives right on the car, along with all applicable discounts to bring you the best price without the hassle and time it usually takes to get the information you want! When can I return my lease? We request that lease returns be brought in between the hours of 9:00 a.m. and 7:00 p.m.
Can I drop off my vehicle for service after the Service Department closes? Yes. We have a drop box with envelopes for keys and customer information by the main service bay door. These can be dropped in the slot on the service office door.